Biology Students for Equity is a new RSO on campus and their primary goal is to create an open and inclusive community in which they can further conversations about equity and diversity in STEM. Throughout the year they plan on continuing our mentorship program, hosting panels, networking events, laboratory technique courses, information sessions, socials, and even a podcast club. If you are interested in being a part of their community and learning more about what they do, come check them out at their first meeting on Monday, October 8th @ 6:00pm in the Life Sciences Building Room 201. There will be FREE PIZZA! They are officially launching their BSE Mentorship Program for the year, meaning applications for mentees and mentors are now OPEN. 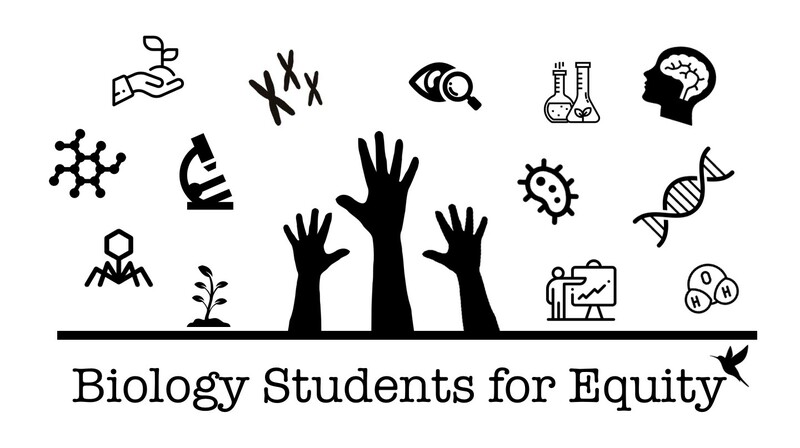 The goal of their Mentorship Program is to connect first and second year students to mentors and resources to help them succeed in the biology introductory series. Their mentors will have had completed the biology introductory series. This our only requirement. Their majors will most likely fall into the realm of biology or related majors (biochemistry, public health, etc. ), though that is by no means a requirement. What is expected of you in this role is to act as an academic/social advisor to your mentee. This DOES NOT entail tutoring. Ideally, you would give your mentee advice on how to generally succeed in the class/series and also general college advice to help them navigate through their first years here at UW. The time commitment is estimated to be at least five hours a quarter, though you and your mentee can meet as many times as you like. As a mentee, you will be paired with a student who has completed the introductory biology series (likely a junior or senior) and receive advice to help you succeed in the intro series and support you as you as you navigate your way through the first years of your college career. Your mentor will also offer you advice about topics outside of class (majors, pre-requisite classes, research, how to get involved in extracurriculars, etc.). You do not need to be currently enrolled in the introductory biology series in order to become a mentee. Your mentor WILL NOT act as a tutor for you, though we will gladly connect you to resources where you can receive tutoring services! Please do not hesitate to reach out to them with any questions, concerns, or ideas.